“Yi kadel che koeri bana’wan…Ye gase neh zhan tay’aar (This bridge is made by girls. It will never be completed)” is what engineer Insha Gandroo Zargar, 34, hears every day since the construction of Jahangir Chowk-Rambagh flyover started in 2013. Insha, a junior engineer, has so far overseen construction of 150 minor bridges for railways as in-charge. “But this current assignment is close to my heart,” says Insha, who did her engineering degrees from AMICE, Delhi. After completing her degrees in 2003, shares Insha, she had to face a hostile private sector, unwilling to recruit a female civil engineer. Once in, Insha managed to get herself posted in the field. At that time MandCo, private consultancy company where Insha worked, was monitoring Rs 2000 crore Baramulla-Banihal railway project. “Working in the field was not as easy as I had thought earlier. It was quite challenging,” says Insha. But despite facing life-threatening situations, where one of their colleagues was killed by militants, Insha stayed put at her on-field campsite. “Had I left midway, it would have been the failure of entire civil engineering group of girls. Nobody would have ever trusted a girl for this work again,” Insha says. But the most cherished part of her association with MandCo was her filed trips in rural areas. She was famous among folks as ‘Railway Madam’. “People used to come and get photographed with me. They would even ask for my autograph,” recalls Insha flashing a smile. During her stay in rural areas Railway Madam was default chief guest at every marriage ceremony taking place in the neighbourhood. But working in rural areas, especially as a female engineer, has its own drawback. “Entire village would assemble around you to have a good look at you,” says Insha. Two years later, when her baby-girl was able to stay without her, Insha once again asked for a field job. 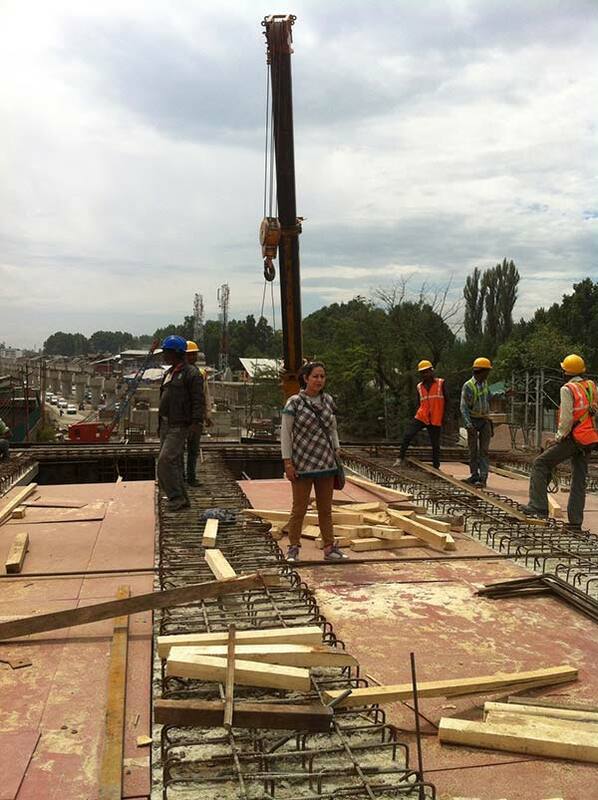 Her second stint with fieldwork coincided with the commencement of Detailed Project Report (DPR) for Jahangir Chowk-Rambagh flyover. Sensing opportunity to become part of this mega project Insha went to see the director JKERA. “I asked him a chance to be part of flyover project,” recalls Insha. Initially, recalls Insha, the director was apprehensive, as he thought she might not have the required experience or expertise. “But once I told him about my stint with MandCo and the work I had supervised there, he was okay,” says Insha. Previous ArticleThe slogan of Faint Goats!